Liliya Berezhnaya is an Assistant Professor at University of Münster’s “Religion and Politics” Cluster of Excellence in Germany. 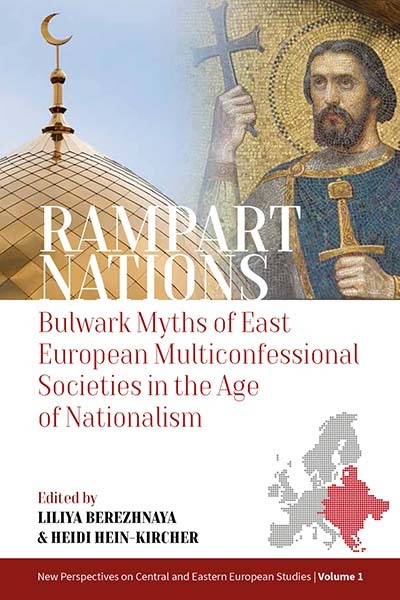 Her publications include Iconic Turns: Nation and Religion in Eastern European Cinema since 1989 (2013), co-edited with Christian Schmitt, and The World to Come: Ukrainian Images of the Last Judgment (2015), co-authored with John-Paul Himka. Heidi Hein-Kircher earned her master’s and doctoral degrees from Heinrich Heine University Düsseldorf. In 2018, she earned her habilitation degree at Philipps University in Marburg. She is currently on the research staff at the Herder Institute for Historical Research on East Central Europe in Marburg, Germany. She is also the Head of Department at the Institute’s Academic Forum. Chapter 8. Why Didn’t the Antemurale Historical Mythology Develop in Early Nineteenth-Century Ukraine?